The most annoying season in a year (at least for me) will come soon in Kyoto... I heard some other Japanese regions are already in this season. This is not a display of umbrellas... We are drying them after using. After this season finishes, the temperature gets increadibly high then summer will finaly come. So, summer is just around the corner! We are on New York Times! Hotel Nishiyama was introduced on New York Times website. New York Times review said that friendly English-speaking staff and tatami-mat rooms at a reasonable price. we are really glad the journalist enjoy staying with us. please go here and to read Nishiyama Hotel review on New york times! 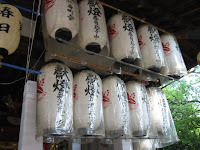 Matsuri is Japanese word for Festival. 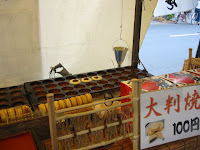 This is one of popular summer event for japanese people. 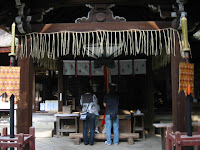 festivals are usually sponsored by a local shrine or temple . 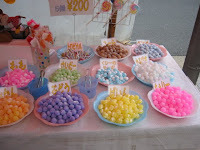 last weekend we had one Matsuri near our hotel this is local festival so It was not big one but there are a lot of matsuri booths selling souvenirs and food such as takoyaki,and games, such as Goldfish scooping. 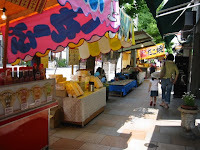 when I was small I was really excited to go to matsuri because of these booths. my favorite booths are Goldfish scooping and apple candy! 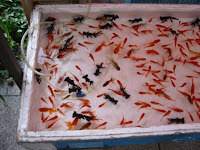 I went to the Matsuri and tryed Goldfish scooping. I havent done this more than 15years but it was really fun and I could get 5 Goldfish! I took only 2 Goldfish to home. 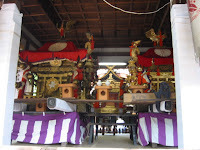 During summer season there are many matsuri in japan On July Kyoto will have biggest masturi which is called Gion matsuri. Japanese people wear YUKATA and go out for Matsuri I can feel this is real japan when this Matsuri season come every year. Around May and June are school trip season in Japan. Many schools go for trip for making a good memory. Kyoto is one of the most popular places for that. We also have many student guests now. They come from many different prefectures. Each school has a different journey. For example, some schools take a taxi or public transportation with small groups by themselves. Students go sightseeing having the own plans they made. Sometimes one of the groups gets lost and is in trouble. I believe they learn something through these experiences. Every student is very excited and looks so happy. If you see exctied students, they might be student travelars! Have you ever make origami? origami is very popular in japane when we are small we lern how to make origami at preschool. One of our staff made this crabs. This is Crab. it is common to make swan by Origami. this crabs are made by 4 swans. she start to interest to make origami when she saw this at sweets shop. she got one of them from the sales lady and she broken it and learn how to make this crab.